Since 1993, every August, Budapest holds the Sziget Festival, which attracts over 400 thousand people during the week of the event. What it feels like to be at Sziget? What makes it unique and unforgettable? This mini-series about the cult Sziget experience should reveal you answers and aims at giving you valuable insight to make you want to go to Sziget. Why not already this year! 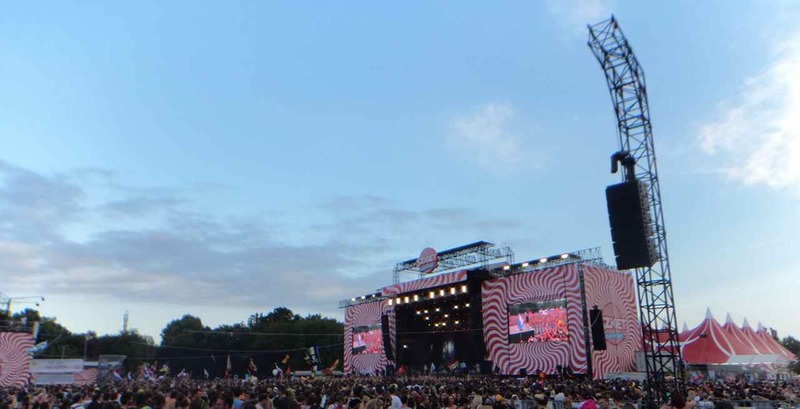 Sziget Festival is one of the largest festivals in Europe that in 2014 attracted 415,000 people in total. The absolute peak was Thursday program when the full capacity of 85,000 people was reached. Mary PopKids, Bastille, Lily Allen, Macklemore & Ryan Lewis starred on the main stage on that evening. 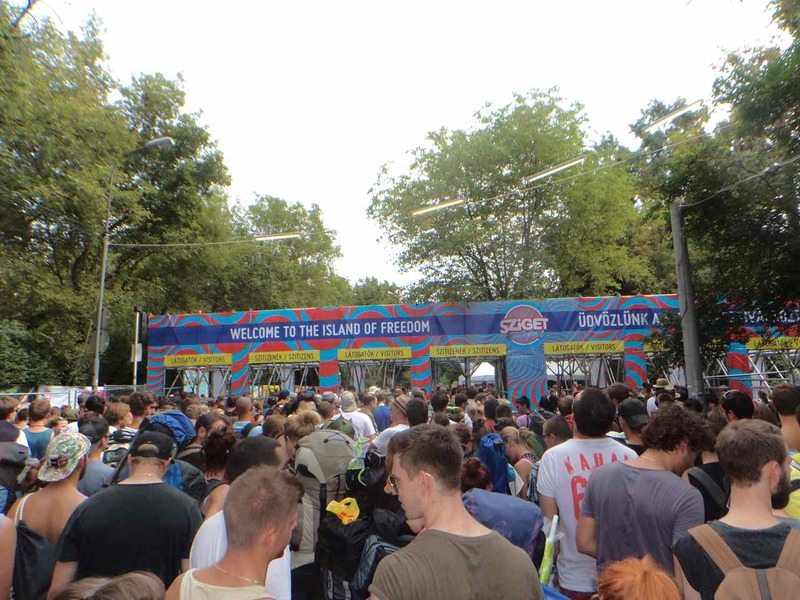 The festival started off as Diáksziget (Student Island) in 1993, in 1995 it was sponsored and renamed to Pepsi Sziget until 2001. Since 2002, it is just Sziget and this huge entertainment event attracts annually always more than 350,000 people. Sziget means island in Hungarian, the pronunciation is [ˈsiɡɛt] and no surprise, it takes place on an island in the middle of the Danube river in the capital city of Hungary, Budapest. The island is called Óbudai sziget (Old Buda Island) or Hajógyári sziget (Shipyard Island). Its history dates back to 89 AD when it was named Aquincum, and it was housing a Roman Legion of 6,000 men. In the 19th century, it served as a shipyard (hence the name), and the remaining land was used for agricultural purposes. Carrots were grown on the island until 1960 and after it was turned into a big park and recreational zone for Hungarians. 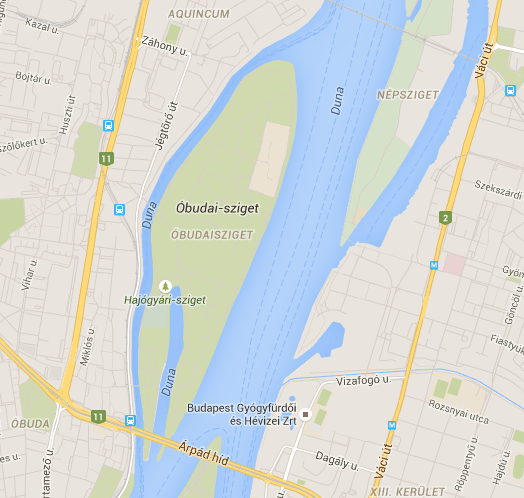 The island is huge (108 hectares, 2,750 m long and 500 m wide) and Sziget Festival is not even taking its entire area. So be prepared that you will be walking a lot. In 2014, I wore a pedometer on one day of Sziget to find out how many steps I made, and the final count was over 25,000 steps, which is more than 20 km! Good advice: take good and comfortable shoes. As the festival can get pretty crowded, consider wearing closed tip shoes (at least in the evening). Sziget is about music, but one would make a big mistake to claim it is just about music. It is also about art and theatre performances. The whole Sziget experience is only complete if you manage to combine all these three aspects and balance according to your current mood. If you get tired of all the partying, you can spend some time in the NGO Sziget – zone where non-governmental organizations and other institutions present their work, hold craft workshops and engage visitors in various activities. Last year I got a nice NAV T-shirt with Hello Piggy on the front. There are also various workshops. I really enjoyed morning yoga sessions. Just check out your program from A-Z and believe me, the island has much to offer at any time of the day. The biggest shame of Sziget is that the tickets and actually the whole festival became incredibly expensive for the locals. Hungarians have their alternative festivals to Sziget, such as Volt or Strand, but somewhat it is a pity that they are not represented in bigger numbers. Because one thing that Hungarians know how to do well, is party hard. Sziget is for the locals, however, a way to earn extra money as the city gets visited by thousands of people. Simply said, Budapest lives by Sziget. You can already see that by the Sziget flags on the Margit bridge, which is on the Buda side the main transportation change point to go to the festival. None of the festivals that I ever visited was offering such a cool thing as a City Pass. This bracelet enables you to use public transport free of charge, enter the spa once for free and then for a discount, get cheaper tickets to museum, use a boat to go to the festival for free and get from the airport to the Sziget venue by shuttle bus. More information about City Pass on Sziget website. 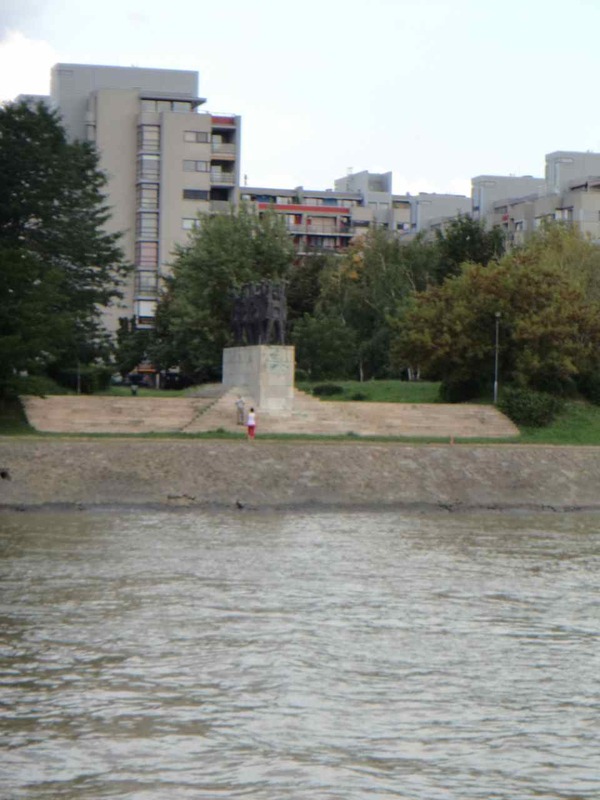 Again, something very specific as Sziget is on an island, and the Danube is a mighty river, there is a chance to go to the festival by boat. If you do not have a City Pass, you can still take it, but you have to pay for the ride. I suggest you to try taking the boat at least once as it is a nice trip, you can also buy a beer aboard. The biggest advantage is that it takes you immediately to the festival, so you do not have to stand the queue at the entrance. And yes, it is kind of cool to come by boat. The festival goes on for the full 7 days. There is no closing of the area. No rough security guards are forcing you out to hang out in overpriced outside festival zones. You come to Sziget, you stay in Sziget, you sleep on Sziget. As you can put your tent anywhere in the dedicated areas, the location matters. last, but not least, remember where you put your tent. It can happen that you build it, and after you return at night, there might be new tents popping up like mushrooms. All the tents at night seem like Siamese twins so mark it on your map, put some label on your tent or track your tent’s GPS coordinates. There are also special camping sites available! You want to hang out with French people, have a croissant and get exclusive DJ party every day? Then you might consider paying a bit extra and lodging in the Apéro camping. Last year, the Apéro camping was a place to get hold of pastis and a lot of French guys. I enjoyed hanging around there as the World Music stage was literally behind the corner. There is also Alternativa camping for fellow Italians and many other accommodation options such as family and caravan camping or hotel. If your cheap flight does not allow you to bring a tent along, there is a possibility to buy Sziget camping set at the spot. Everything is nicely summarized in the accommodation section at Sziget website. There are many ways to get to Sziget. The best preparation for the week of partying can be a Sziget Express train, leaving from Amersfoort in the Netherlands. The trip takes around 20 hours, and you can get seat and bed reservations too. All the people that I met that took the train were overly excited about the ride, and they made friendships even before arriving at the festival. Like a big summer camp experience. There are also organised bus services from France. This is a feature that is pretty common at all Hungarian festivals, be it street food festival or Sziget. I really enjoy living without cash in Hungary, and that accounts for not needing to have cash on Sziget too. If you are lucky enough to have MasterCard® PayPass™ or Maestro® PayPass™ card, you can pay with those. The only thing is that it is better to save the receipts so that you are not surprised at the end how much the festival week cost you. If you do not have a PayPass™ card, then you get a Sziget FestiPay Card, which you can top up as your balance goes low. This way you can keep track of how much you spent. It can be just sometimes very lengthy to wait in the queue for your party money to get deposited. Little tip: You can enter the Island via VIP lane if you are a proud owner of MasterCard®. Check out by the entrance, if it is again possible this year and skip the queue. Now you know all the bits and pieces about getting there and most importantly, getting the most out of it. If you liked the post or know people that would be going and would benefit from the information, please share the post using the buttons below. If you want to read the next part once it gets published, like my page on Facebook. Thanks for reading! Want to read more about Sziget Festival? Check out my gateway with all the articles here. Do no miss any more posts about Sziget and other shenanigans. Sign up at the bottom to subscribe to get it by email!